As we read through Scripture, over and over again we read that God (or Jesus) spoke and whatever or whomever He spoke to obeyed. Did you just skip over the Scriptures? Caught ya! I know the temptation because I often catch myself doing it too. If you skipped them please go back and read them. All of His creation obeys Him – well, almost. Creation happened as God spoke. Creation was a combination of matter obeying Him and God speaking matter into existence out of nothing!!!! Mind blown. If you stop and think about it, it would be funny to think of the giant fish arguing with God when he was told to go swallow Jonah or the wind refusing to blow or the sun deciding to check out another galaxy. We chuckle but it’s absurd. We know that each of these things are under the sovereign control and divine hand of God. Yet when God calls us to obedience or to resist temptation we take a moment or more to make a decision – shall I or shall I not? 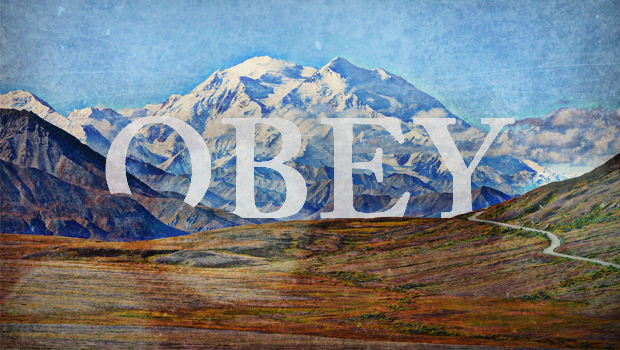 How is it that we – the ones for whom Jesus died—think we have the freedom to choose whether to obey or not? I am speaking to myself here this morning; thanks for listening in. Diane Hunt Diane serves part time on the staff of America’s Keswick providing ministry support from her home in North Carolina. She is also a Biblical Counselor and women’s event speaker. For more information about having Diane speak at your next event please contact her at dhunt@americaskeswick.org.